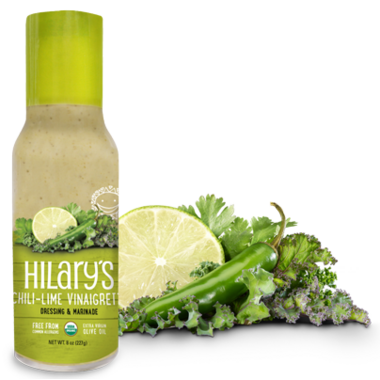 Hilary's Chili Lime Dressing is free from corn, dairy, eggs, gluten, nuts and soy! The chili flavour was much too strong for me; I could barely taste the lime. 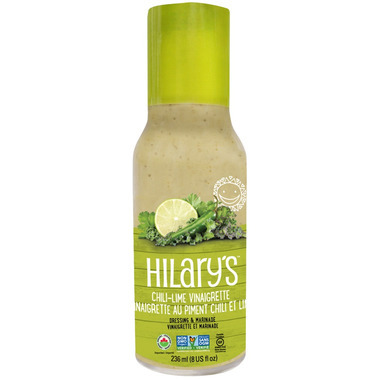 I wouldn't purchase this again but would be willing to try some of the other flavours of Hilary's salad dressing. Amazing, love this dressing,love lime in my dressing. 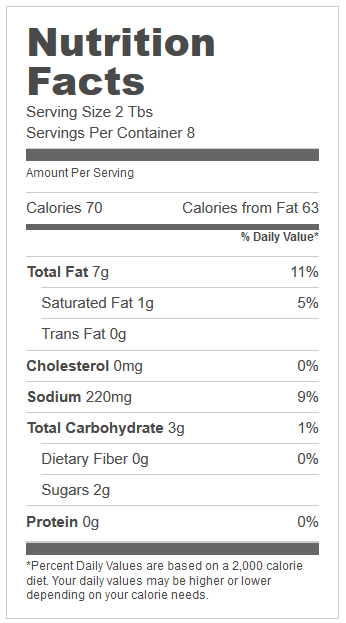 Really enjoy the taste on salads, especially if dried fruit is added and less sugar than most dressings. Very healthy with its organic ingredients. Did not enjoy it at all-too acidic--couldn't think what to use it for, as the taste was not enjoyable.